A computer generated view of the International Space Station after NASA's STS-115 mission, which will deliver the Port 3/Port 4 truss segment and two new solar arrays (right) to the orbital laboratory. CAPECANAVERAL, Fla. - The successful predawnlanding of NASA's spaceshuttle Atlantis today marked just the start of what will be anever-increasing challenge of completing the International Space Station (ISS),the agency's top official said Thursday. "We arerebuilding the kind of momentum that we've had in the past and that we need ifwe're going to finish the space station," NASA chief Michael Griffin said afterAtlantis' flawless landing here at the Kennedy Space Center. "We have anawesome task ahead of us. The space station is half-builtand we have half to go." Atlantis' six-astronautcrew completed a 12-daymission to the ISS at 6:21 a.m. EDT (1021 GMT) when the orbiter'swheels met the tarmac of Runway 33 here. The STS-115 astronauts - commanded by veteranshuttle flyer Brent Jett - delivered a massive 17.5-tonpair of trusses and newsolar arrays to the ISS during a busy mission to kick off an orbitalconstruction effort that stalled as NASA recovered from the 2003 Columbia accident. "It was apretty tough few days for us," Jett said from the Shuttle Landing Facilityrunway. "But we got a lot more missions coming up and they're going to be justas difficult." NASA plansat least 14 more shuttle flights - beginning with STS-116 aboard the Discoveryorbiter in December - to complete the ISS by September 2010, when the agencyplans to retire its orbiter fleet to make way for its new Orioncapsules. Atlantis is slated to launch NASA's STS-117 mission to the ISS inearly 2007. MichaelLeinbach, NASA's launch director, said Atlantis' multiple launch postponements- and then its one-day landing delay - have cut a planned 110-day turnaroundfor the orbiter by more than 10 days. "It will bethe most aggressive turnaround that we've had since return to flight, but theteam is up for that," Leinbach said. 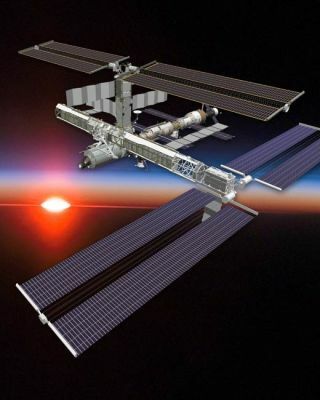 UpcomingISS construction missions include a complete rewiring of the station'selectrical grid and cooling systems, the delivery of two more solar arrays andthe launch of critical connecting nodes and orbital laboratories. "It's maybea little simpler than trying to build an aircraft while you fly it, but not bymuch," Griffin said of ISS assembly. On top ofSTS-115's already challenging goal of resuming ISS construction, space stationofficials wrangledan orbital traffic jam to ensure that Atlantis' astronauts completed theirmission and undockedbefore a Russian-built Soyuz spacecraft arrivedthis week with a new crewand a spacetourist. "I waswondering at one point if we needed to install a traffic light on one or ourEVAs," Lynn Cline, NASA's deputy associate administrator of space operations,said of the STS-115 flight's three spacewalks. "We did have a lot of vehiclesand basically we took it one step at a time." Thechallenge, Cline said, required not only that Atlantis leave the ISS before theSoyuz arrived, but also that the space station's three Expedition13 astronauts were rested and ready to help jettisona Russian Progress cargo ship to clear a berth for the incoming spacecraft. "This is alesson we need to learn, how to handle multiple vehicles and multipleconstraints," Cline added. For thecrew of Atlantis, today's successful landing marked the end of what had been asmooth flight aboard the 100-ton space plane. "Atlantiswas a terrific ship," Jett told KSC workers after leaving the orbiter. "Shegave us absolutely no problems at all during the mission."